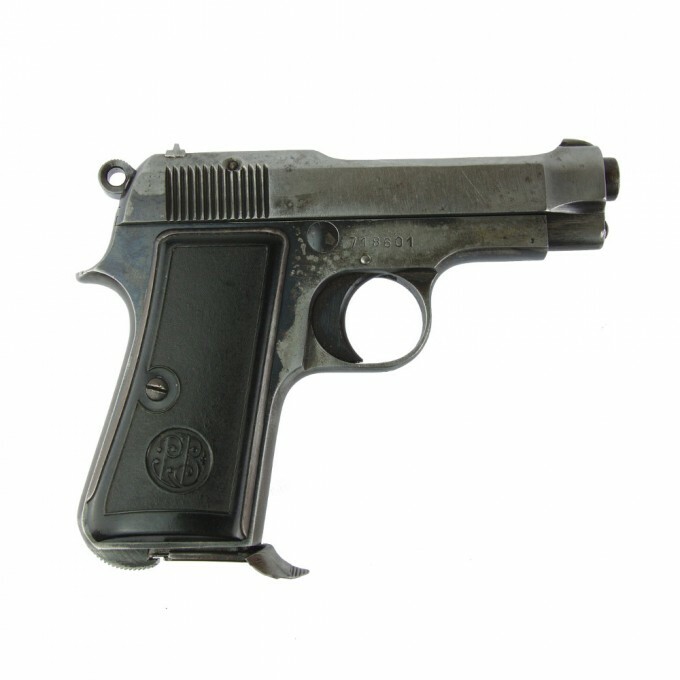 Pietro Beretta M1935, caliber 7.65 / 32 acp. 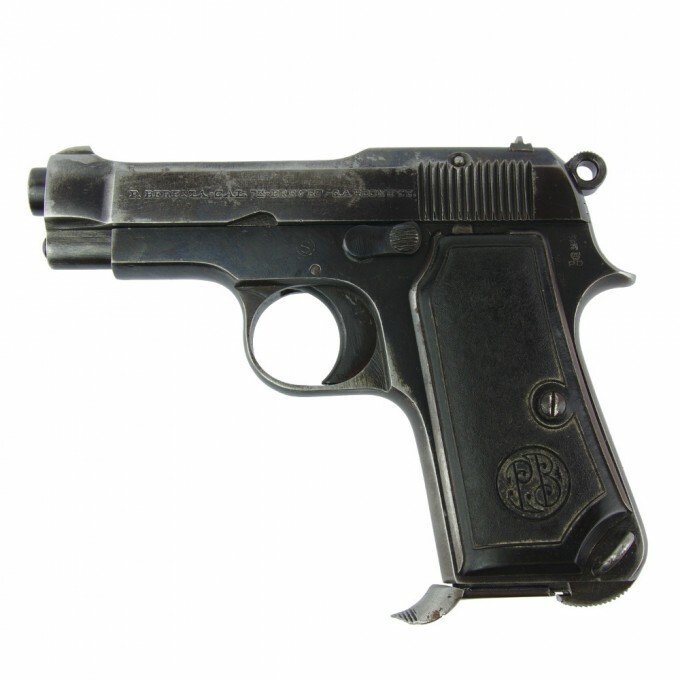 This pistol derives from the military version Mod.1934, and all its parts have the same serial number. 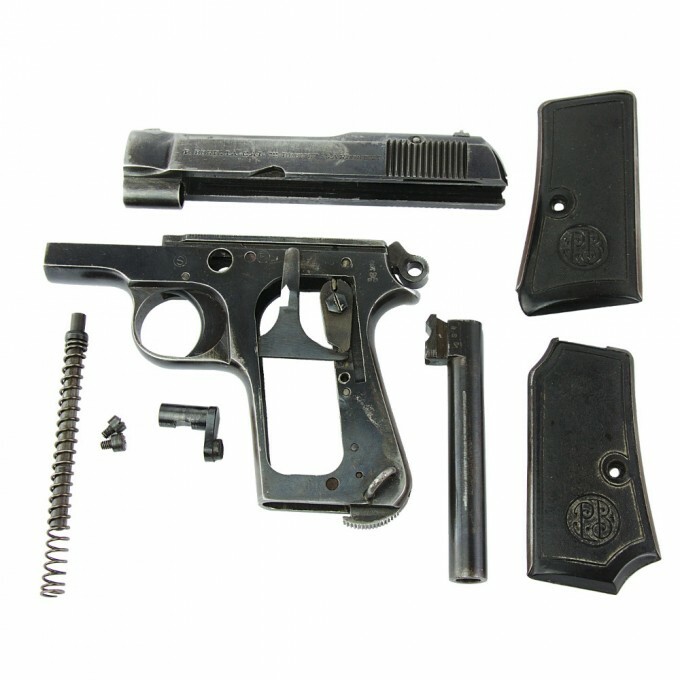 The magazine is Beretta original. A Crowned Lioness , that was the Brescia Proof Mark used in the period from 1945 to 1949, is impressed on the back left part, near the "P D" initials (Final Test). 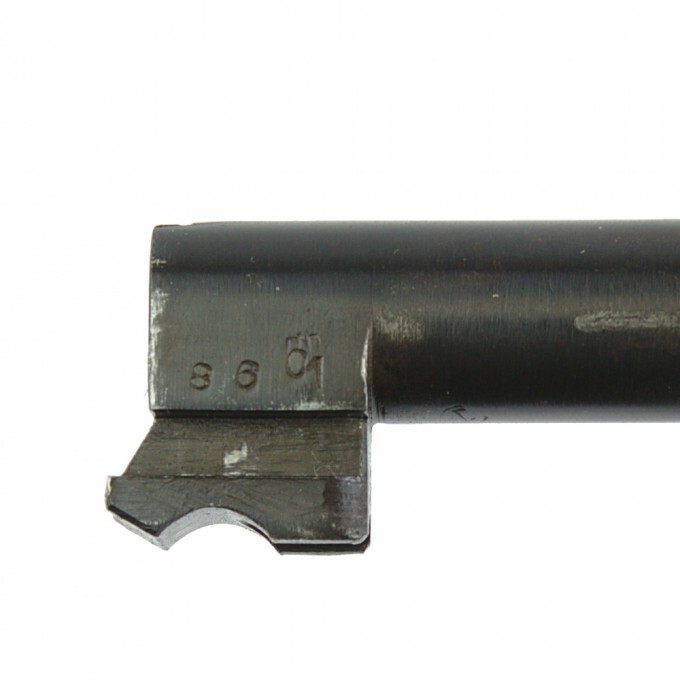 Barrel and slide are made in carbon steel, the barrel is in excellent condition, with bore bright and fairly sharp edges rifling. 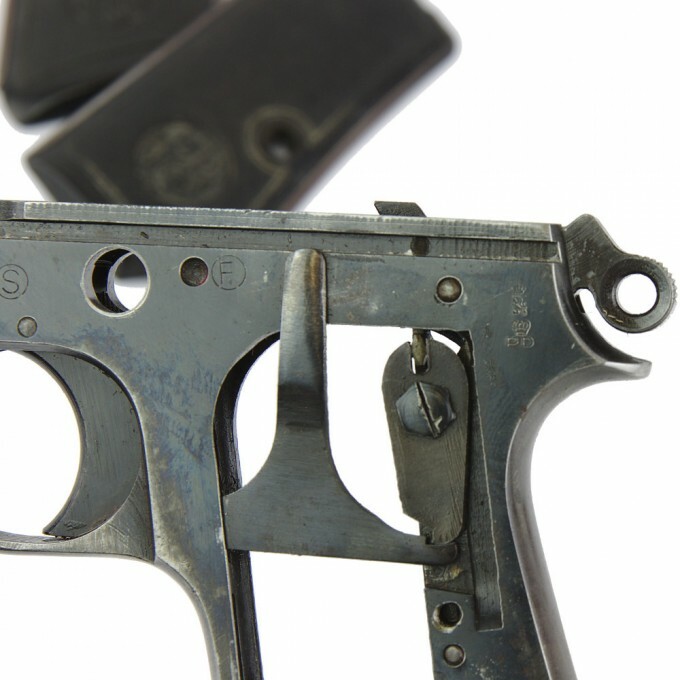 Due to age, the right side of the slide presents a bleached bluing but no trace of rust or wear. 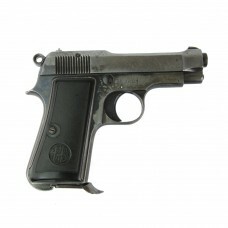 This pistol model was produced by Beretta from 1935 to 1967 in 525,000 units, as modification of the military 1934 model. Used - Good general conditions. 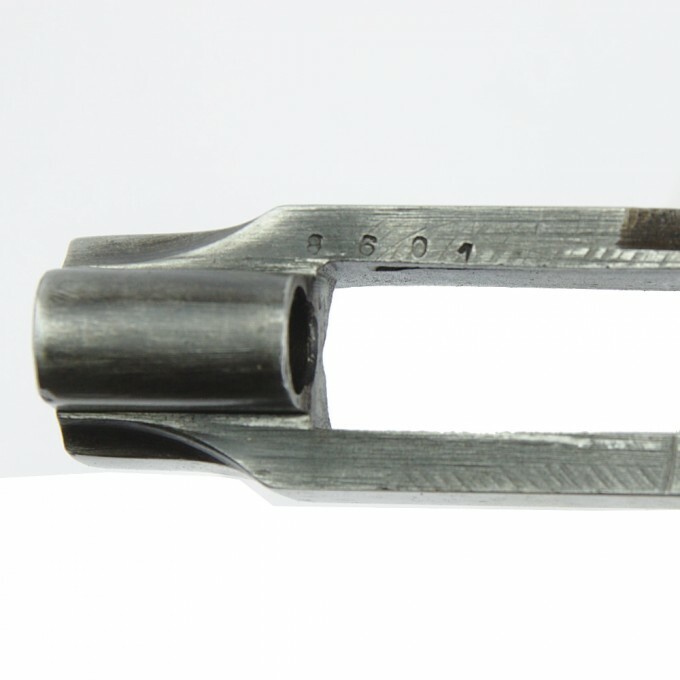 Barrel, rifling, and forcing cone are untarnished and clean.